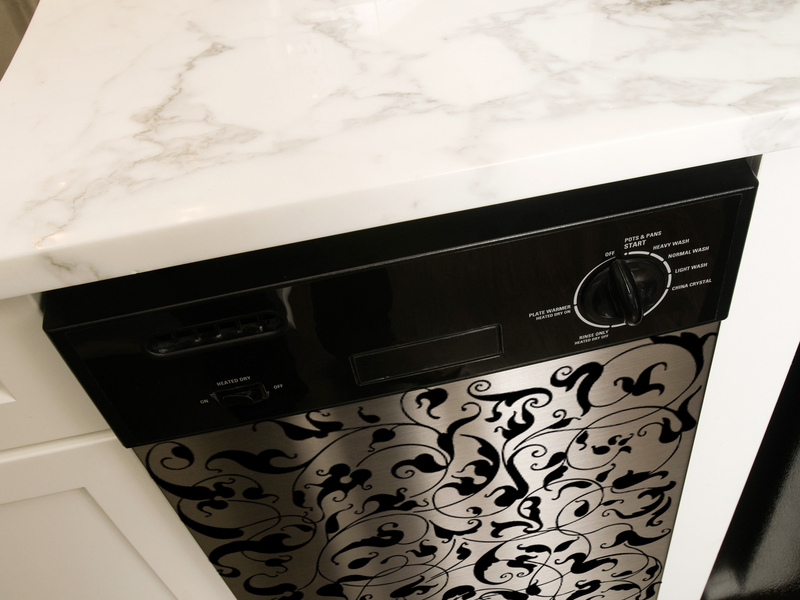 Home » Blogs & News » Blogs » Appliances Love Decals, Too! 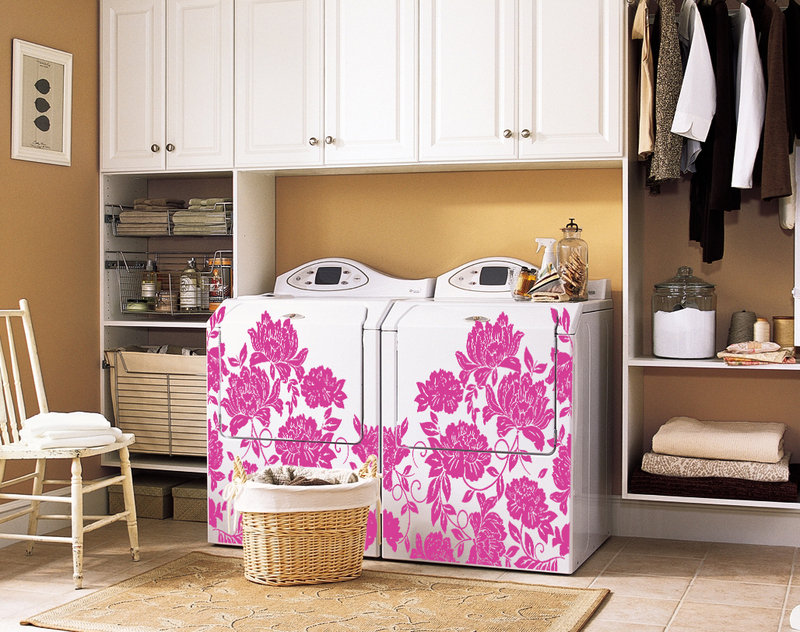 Just say no to boring appliances--try decals! Perfect for dishwashers, washers and dryers, and even the fridge! Do you dream of a kitchen makeover but don’t want to spend the big bucks? 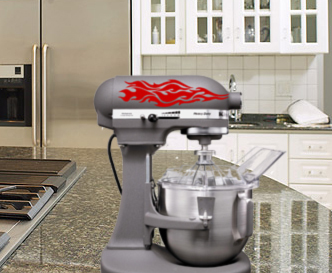 Do your appliances still have life in them but they look a bit dated? 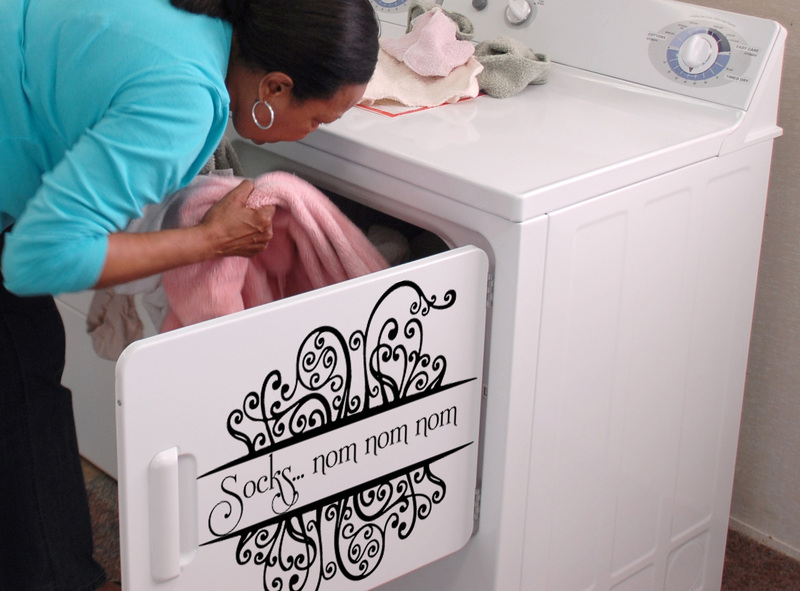 Have we got an idea for you—appliance decals! Dress up that dishwasher (ahem, that would be the appliance, not the significant other), snazz up that washer and dryer, give your fridge an attitude! Since everyone ends up in the kitchen anyway, now your appliances can steal the show and give them something to ooh and ahh over. We’ve tried these beauties on stainless steel, and they go on and come off flawlessly. The fingerprint resistant textures also work just fine. In fact we haven’t come across an appliance that we couldn’t decal yet! When you’re ready for a change they are easy to remove and don’t hurt the surface of the appliance, which makes them ideal for renters. 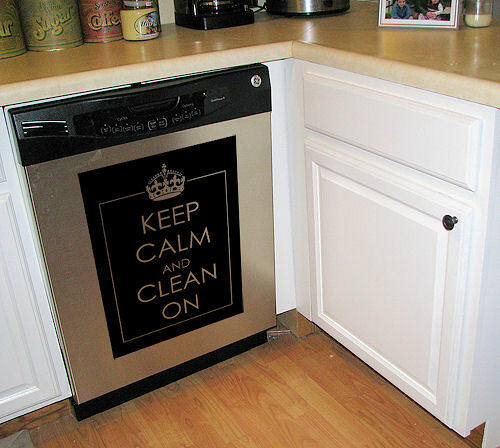 Comments on Appliances Love Decals, Too!